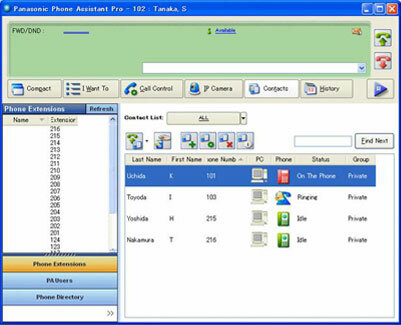 suite blends the power of the Panasonic KXTDA Hybrid IP PBX together, with personal computers to provide a truly remarkable CTI software allowing intuitive point and click operation for personal, team, and enhanced business productivity. 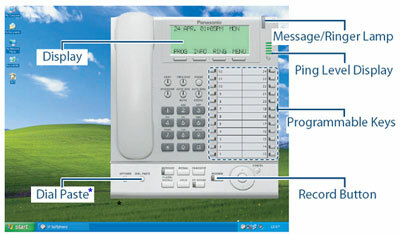 To call someone, click the contacts tab to visually check to see if they are available and simply click to dial. 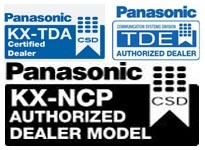 The Panasonic KX-NCS8100 IP softphone allows roadwarriors, sales and support staff, or any other power user to use their computer as a powerful IP softphone for access to anytime, anywhere enterprise IP telephony.